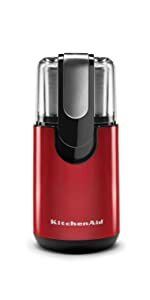 Designed for the ultimate performance and reliability, the KitchenAid Burr Grinder uses stainless steel burrs to grind coffee consistently at any of the 15 available grind levels. The glass bean hopper holds up to seven ounces of whole beans that you can quickly grind for French Press coffee, automatic drip coffee makers, espresso or anything in between. 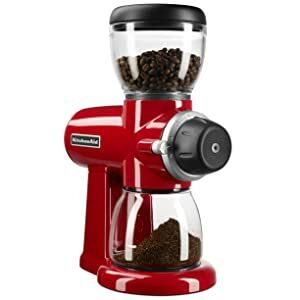 Designed for the ultimate performance and reliability, the KitchenAid Burr Grinder uses stainless steel burrs to grind coffee consistently at any of the 15 available grind levels. 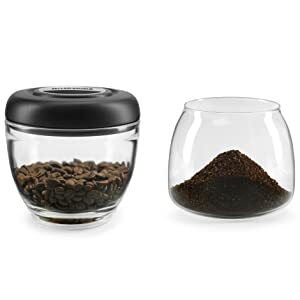 The glass bean hopper holds up to seven ounces of whole beans that you can quickly grind for French Press coffee, automatic drip coffee makers, espresso or anything in between. 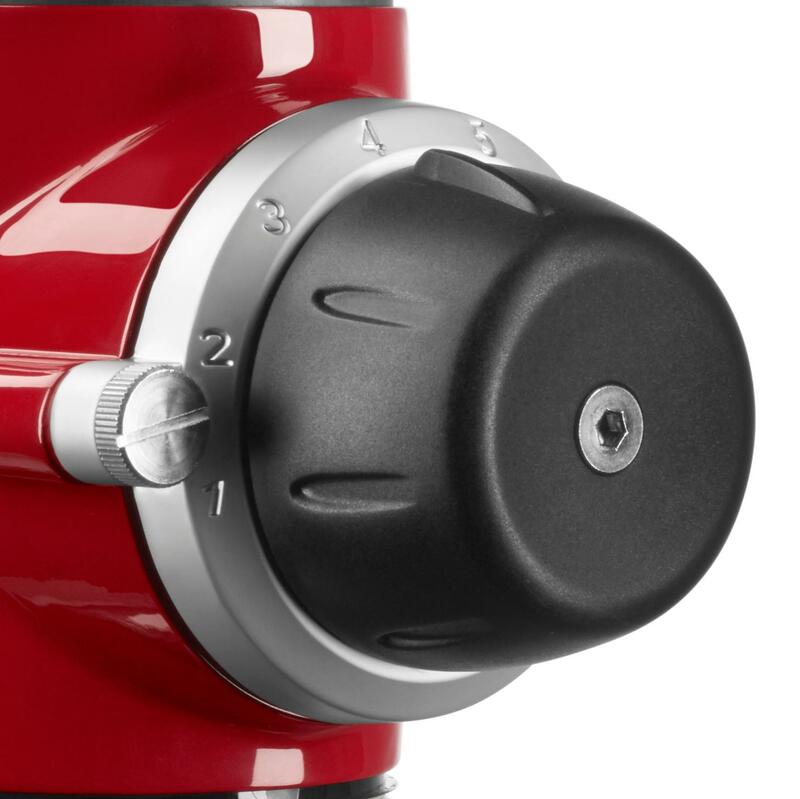 Allows for excellent grind consistency and lower grinding temperatures. 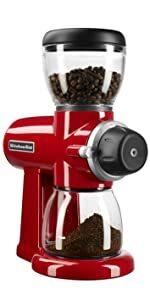 Available in half-step increments from 1 to 8, from a very fine espresso grind to a coarse French press grind. Offers durability and powerful performance. Minimizes the static cling of coffee grinds. 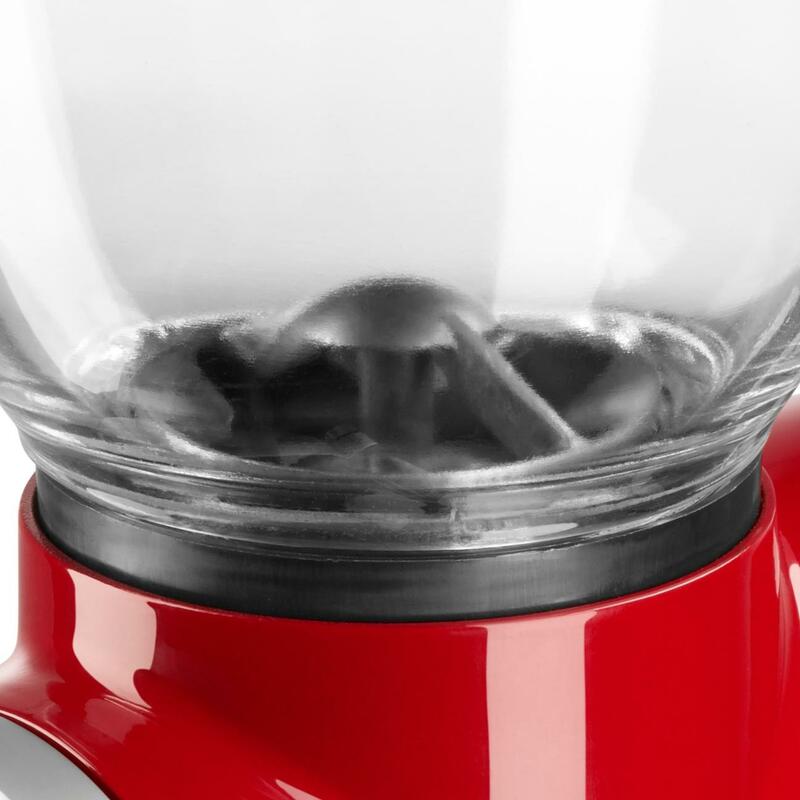 Hopper unscrews from housing for simple cleaning and features a press-fit lid for quick filling.